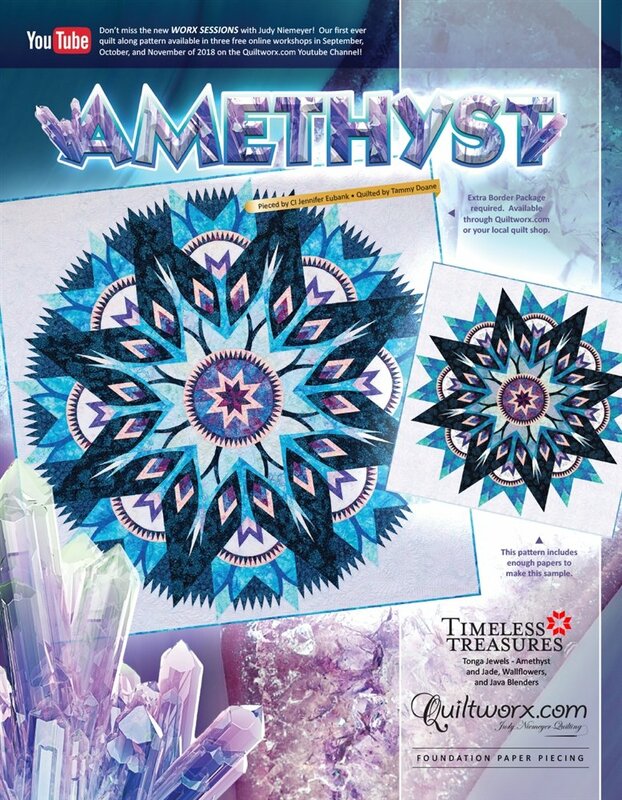 Amethyst Pattern JNQ252P6 - Quiltworx is excited to announce that we have published our first ever pattern that comes with a free Youtube training video for you to follow along with Judy Niemeyer, step by step. This pattern is published slightly different than some of our past publications. And, as such, when you purchase the pattern you will find a General Information booklet to get you off and running on the right foot!